We Build Light Movers! It's What We Do! Check out some history behind AgraMover. Featured are some photos from this years Cannabis Cup and The Clio Cultivation Cup. They’re for carrying more lamps over a much wider area. What’s The Difference Between The Original Hercules And The Hercules II? 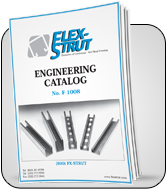 Check out the Flex Strut Catalog Today. Find what you need to assemble the perfect lighting system. A customer put this video up! It’s not only colorful, but you can see an AgraMover Light Mover at work! This is what the description of the video entailed. Garden with Twister, Pineapple fields, Huckleberry Kush, THC Bomb and Tutankhamon. Perfect Sun 1000 uses 520 watts but outputs equal or better PAR than a 1000W hps. This light has a great spectrum and puts out a nice white light. Spectrum is complete including IR and UV, heavy on blue and really heavy on red. Check out the spectrum at the growpotcheaply link. I received this light to demo a grow and was given no other instruction. So any words or opinions are mine and I stand by them. The light intensity is too high unless mounted far enough away, so I chose a light mover. This allows decent coverage and a higher light intensity hanging the light about 18″ above the canopy. After this vid I shifted the plants to better use available light. This is our AgraMover YouTube Channel. Here is where you will find the different videos we’ve made to help with answering some common questions. We will also be bringing NEW PRODUCTS! AgraMovers can be applied in various applications. 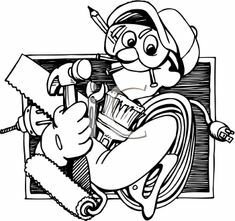 Flex Strut offers a variety of strut channels, brackets, clamps, and accessories; where you can design and create your setup. Imagine an industrial erector set, that you can put together in various ways. If you can dream it; you can build it. Click on “Flex Strut Catalog” to see the vast array of items available that you can use to construct your entire grow room.